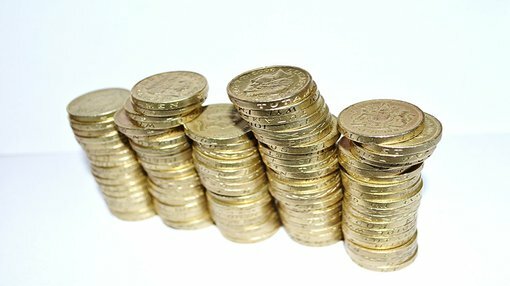 The All Ordinaries may have dipped perilously close to the 5000 point mark and the ASX 200 gone below it yesterday – but dividends are shaping as a bright spot for investors over the next two months. 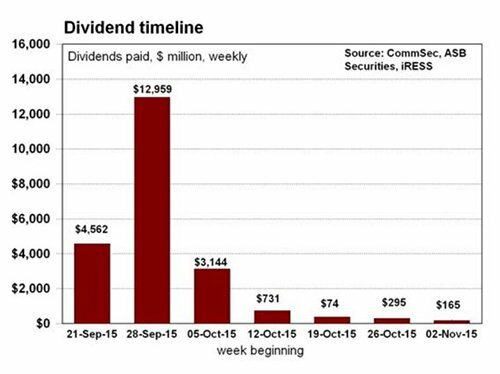 Commsec has predicted in a report that around $22 billion worth of dividends will be paid out during the next two months, with BHP Billiton leading the way with an estimated dividend payout worth $4.6 billion until 1 December. The report’s author, chief economist Craig James, wrote that ASX-listed companies were increasingly using dividends as more of a marketing tool than anything else. “Companies have been facing tough competition from other companies and other asset classes to retain the affection of investors,” he wrote. Calling the previous reporting season “unremarkable”, James said companies risked “staying on the treadmill” if they focused on dividends at the expense of further expansion. His comments on mergers and acquisitions comes off the back of analysis from The Australian, leveraging data from Thomson Reuters Deals Intelligence, tipping M&A activity to rise due to ongoing weakness of the Australian dollar against the greenback. “The strong shape of corporate Australia, growing population, proximity of Australia to the fast growing Asia region and weaker Aussie dollar won’t be lost on foreign companies looking for takeover targets,” James wrote.